Our church was packed last Sabbath afternoon when the Pathfinder and Adventurer clubs met. Pathfinders has over 60 members and Adventurers also has over 60. That is incredible. Thank so much to our incredible Pathfinder and Adventurer staff and leaders! They are doing a terrific job! One of our teens has a great service idea she is calling, Kindness Kounts. She needs help from you and our 6-8th graders. Students in grades 6 though 8 are invited this Sunday, Sept.30, from 10 am to noon to make Care Packages for those that have gone off to college and would love to hear from their church family. Come make treats and cards to let them know they are missed and loved. Adults, we would love to have your help by donating items for their boxes. There will be a box in the church foyer at church this Sabbath. Here are some ideas: candy, gum, chap stick, beanie, hot cocoa, lotion, dried fruit, granola bars, socks, gloves etc. Thanks so much! For any questions email Chloe Young at redchloe.1016@gmail.com. 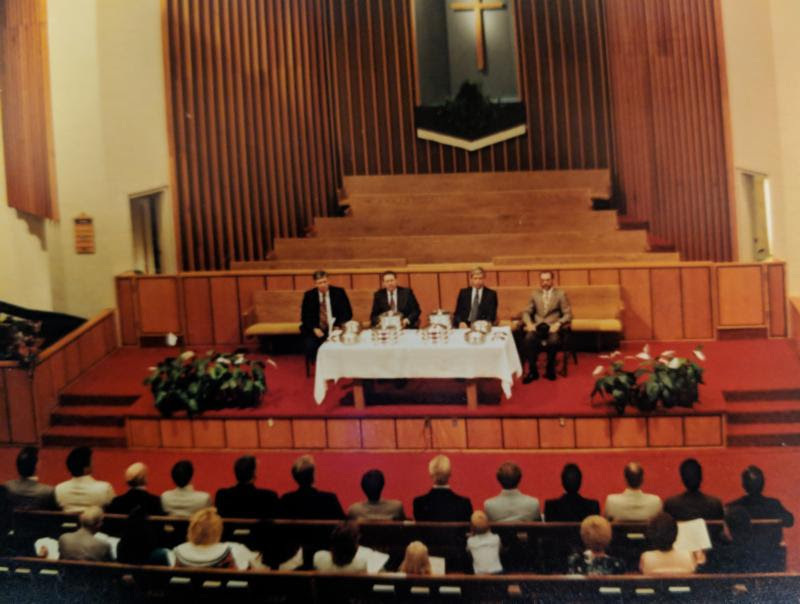 The Architect’s Workshop asked us for old pictures of our church sanctuary. Check out one of the pictures we found below. Aren’t you glad that there were those who had the foresight to renovate our church many years ago? Madison Academy’s Student Council is hosting a late night volleyball tournament on October 13, starting at 6:45 pm and continuing until there is a winner. The event will be in the MA gymnasium and costs $10 per player to enter. 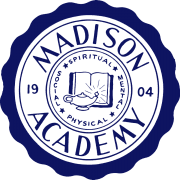 To register a team call (615) 865-4055 or go to www.madisonacademy.com/vb. To God be the glory! He has enabled MCC to send another 2,328 Great Controversy books to Hendersonville ( with our current order). This will complete 50% of zip 37075. Again, I praise the Lord! This is His project and His truth. Please pray the Holy Spirit goes with each mailing. The cost remains at $1.10 per delivered book. For more information email pamseeley16@gmail.com. September 29, the Riverside Historical Society will formally unveil the placement of a historical marker on the original site of the Riverside Sanitarium at 3 pm. It was the first black Seventh-day Adventist medical facility and was founded in 1901 and closed in 1983. Womack H. Rucker Jr., the last administrator and president to serve the hospital will be the keynote speaker. The Sanitarium provided the community with 290-bed acute care hospital and was a major employer for North Nashville. 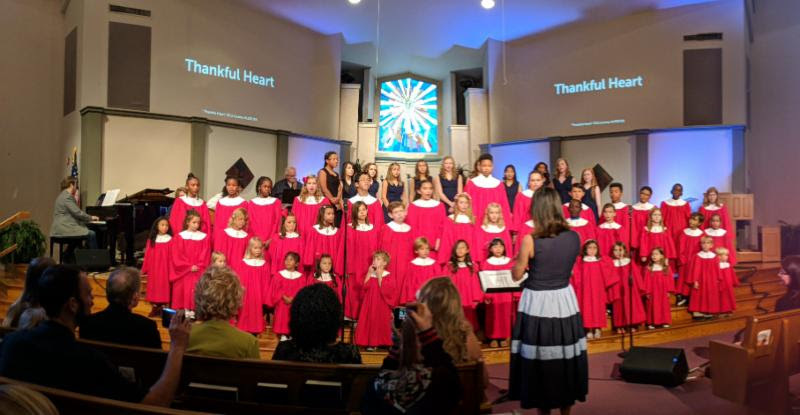 Naomi’s fellowship will meet Sunday, September 30th in the downstairs fellowship hall at 2 p.m.
October 6, Mary Grace will share her music and testimony at 4 p.m. Mary Grace is a gifted pianist who was born with only one hand. You will be inspired by her music and testimony. In addition to accepting donations during regular store hours Monday through Thursday, the Adventist Community Services Center (ACSC) will accept donations for the thrift store on Sundays beginning September 9, 2018, from 10 am to 2 pm. If anyone would like to be a part of a team one Sunday each month, you may come to ACSC any Sunday and talk to the lead volunteer for that day or phone David Bell at (615) 389-9692. Labels to receive Cents for worthy projects is offered by Loma Linda’s program. Only UPC canned good labels, no frozen food labels. $.25/label and need at least 400 labels to equal $100 to submit a form. Go to www.LabelsMakeCents.com for more information. Come stop by and meet baby Hudson on October 6 from 7-9 pm at the Downs’ home, 151 Island Drive Hendersonville, Tn. We are so excited to celebrate with Chris and Shannon Wilhelm the arrival of baby Hudson. In lieu of gifts, we are collecting money to help cover adoption fees. There will be the opportunity to sponsor a puzzle piece (picture of baby Hudson) as a symbol of our community’s support. Every puzzle piece sponsored will have the name of the donor written on the back. You can sponsor puzzle pieces at this celebration or drop off donations at the office of Madison Campus Elementary or Madison Campus Church by Friday, October 5. Join us in reading through the Bible together as a family. Even if you haven’t done the readings so far, it would be great to have you start now. I think there is a real blessing in reading the Bible together. Hard copies of the Bible reading plans can be found at the kiosks in our lobbies. Here is a link to the online Bible reading plan for October, Let’s Read the Bible Together. Sept. 30: Naomi’s Fellowship 2 p.m.
Oct. 13: MA Late Night Volleyball 6:45 p.m.